Express your support and leave a lasting impression. Mid Missouri's first high quality, high volume, low cost, easily accessible spay neuter clinic! Purchase an engraved brick to help fund affordable spay neuter services and commemorate those pets, people or memories that have touched your life. Your gift will help animals for years to come. The gift that keeps giving! Please click on the form to print and mail to the address provided on the form. Gift recipients will receive a card recognizing your purchase and engraved message. 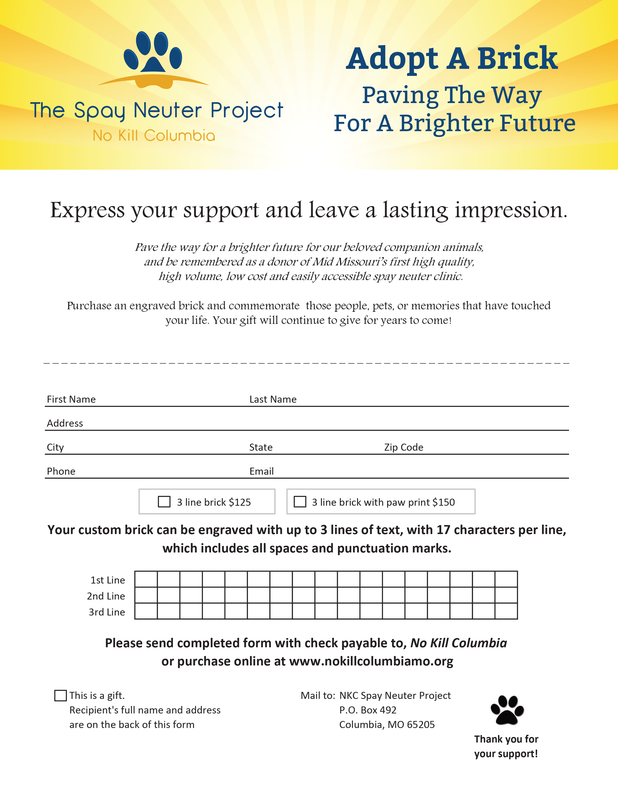 Bricks will be displayed in the Spay Neuter Project Lobby.